UVA basketball had Ralph Sampson for four years, and has one Final Four appearance to show for it, with seasons ending prematurely due to a charley horse, a missed foul-line jumper and errant pass, Al Wood going bonkers. The University of Virginia Board of Visitors formally approved Disharoon Park as the new name for the Virginia baseball stadium in honor of Leslie B. Disharoon and Ann Merriwether Disharoon. On April 13, the University of Virginia and the Thomas Jefferson Foundation at Monticello will present their highest honors, the 2018 Thomas Jefferson Foundation Medals in Architecture, Citizen Leadership and Law. Despite a one-point loss at home to Virginia Tech on Saturday, Virginia would be the top seed in the NCAA Tournament if the Big Dance started today. You’re worried that, what if Virginia Tech just put the blueprint for how to beat Virginia out there for the world to see? OK, I’ll bite. You hold Virginia to 34.4 percent shooting, entice them into shooting a mind-numbing 38 threes, shoot 43 percent yourself, make 38 percent of your threes, outrebound them, outscore them in the paint, and then somehow induce a 93.4 percent free-throw shooter into missing the back end and front end of successive 1-and-1s, all so you can win by one, yeah. Inside the Numbers: Virginia riding its starters too hard? If winning is the ultimate deodorant, losing can be a helpful disinfectant. Second-ranked Virginia has a lot of cleaning to do after its 61-60 overtime loss to Virginia Tech, starting with how coach Tony Bennett divvies up the playing time. 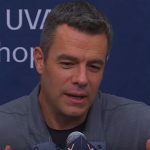 Virginia coach Tony Bennett, and UVA players Isaiah Wilkins, Ty Jerome, Devon Hall and Kyle Guy talk with reporters after the Cavaliers’ 61-60 loss to Virginia Tech. 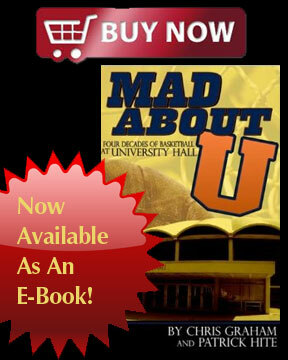 Virginia fans have waited 35 years to see their basketball team ranked #1 in the nation. The wait continues. Virginia Tech rallied from five down in overtime, got the go-ahead basket on a Kerry Blackshear layup with six seconds left, then held on for a 61-60 win. Virginia midfielder Dox Aitken wasted little time in the second OT, scooping up the ground ball off the faceoff and pushing it through traffic, including splitting two Loyola defenders, before scoring the unassisted goal to lift the Cavaliers (1-0) over the No. 13 Greyhounds (0-1), 13-12. 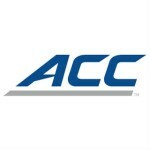 The Virginia women’s basketball team (15-9, 8-3 ACC) travels to face Virginia Tech (16-8, 5-6 ACC) on Sunday, Feb. 11 at 2:00 p.m. at Cassell Coliseum in Blacksburg, Va.
Chris Graham leads our live coverage as #2 Virginia (23-1, 12-0 ACC) hosts Virginia Tech (17-7, 6-5 ACC) in ACC men’s basketball action on Saturday, Feb. 10. Tipoff at John Paul Jones Arena (14,623) is set for 6:15 p.m.
No. 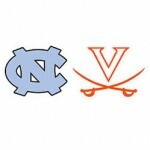 2 Virginia (23-1, 12-0 ACC) hosts Virginia Tech (17-7, 6-5 ACC) in ACC men’s basketball action on Saturday, Feb. 10. Tipoff at John Paul Jones Arena (14,623) is set for 6:15 p.m. 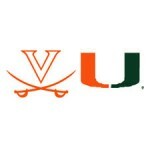 The Virginia women’s basketball team (15-9, 8-3 ACC) suffered a 77-62 loss to No. 12 Florida State (20-4, 8-3 ACC) on Thursday (Feb. 8) at the Tucker Center in Tallahassee, Fla. The UVA athletics department announced today its spring season live broadcasting and streaming schedules for home events that will appear on ESPN affiliated networks. A total of 63 Cavalier events will be carried on either ESPNU or ACC Network Extra. There actually is a basketball game at the end of the day, pitting #2 Virginia (23-1, 12-0 ACC) and Virginia Tech (17-7, 6-5 ACC). I knew when I saw Ty Jerome hit the breakaway layup around the 10-minute mark of the second half last night to give Virginia a one-point lead over Florida State that I had seen that game before. Virginia’s starting backcourt played all but four minutes of the 59-55 win at Florida State Wednesday night. And, yeah, that’s a lot. The significance of Wednesday’s 59-55 win at Florida State for #2 Virginia: you’re going to need a game or two like that one in March to get to a particular Monday night in April. #2 Virginia rallied from a 10-point halftime deficit, holding Florida State without a field goal for the final nine minutes, in rallying to a 59-55 win over the Seminoles on Wednesday. 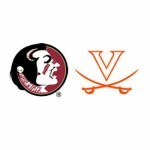 AFP editor Chris Graham leads our live coverage as #2 Virginia (22-1, 11-0 ACC) faces Florida State (17-6, 6-5 ACC). Tipoff is scheduled for 7 p.m. 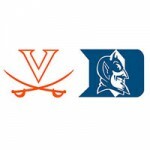 The Virginia women’s basketball team (15-8, 8-2 ACC) will play at No. 12 Florida State (19-4, 7-3 ACC) on Thursday, Feb. 8 at 7 p.m. at the Tucker Center in Tallahassee, Fla. The Virginia football program signed 21 student-athletes to National Letters of Intent (NLI) for the 2018-19 academic school year and one grant-in-aid for a graduate transfer, head coach Bronco Mendenhall announced, which brings the total to 22 recruits. The Virginia basketball team is likely not going to finish 18-0 in the ACC. Odds are that the ‘Hoos won’t be ranked #1 in the regular season. Villanova is too good right now, and UVA has tough road games at Florida State and Miami in the next week. Duke freshman Marvin Bagley III will hear his name called first in the June NBA draft. Virginia center Jack Salt will almost certainly be going pro in something other than sports. The Virginia women’s basketball team (13-7, 6-1 ACC) hosts North Carolina (14-6, 4-3 ACC) on Thursday, Jan. 25 at 7 p.m. at John Paul Jones Arena in Charlottesville, Va.
#2 Virginia. #4 Duke. ‘Nuff said? Virginia has the nation’s top-ranked defense. Duke has the second-best offense. Four Duke players rank in the top 9 of the ACC in offensive rating. Five Virginia players rank in the top 8 in the ACC in defensive rating. Virginia coach Tony Bennett and UVA players Kyle Guy, Ty Jerome and Devon Hall talk with reporters after the Cavs’ 61-36 win over #18 Clemson on Tuesday. Virginia held #18 Clemson to 13 second-half points on 6-of-24 shooting in its 61-36 win Tuesday night. Most of that effort came with the nation’s best defensive player on the bench. Second-ranked Virginia closed the first half on an 11-0 run to erase a seven-point deficit, then seized control with a 20-2 second half run, in defeating #18 Clemson, 61-36, on Tuesday. AFP editor Chris Graham leads our live coverage as #2 Virginia (18-1, 7-0 ACC) hosts #18 Clemson (16-3, 5-2 ACC) Tuesday at 7 p.m. Season tickets for the 2018 Virginia football home schedule will be on sale for renewals and new buyers beginning Monday, Jan. 29. The season ticket renewal and priority ordering deadline is Monday, April 30. No. 2 Virginia (18-1, 7-0 ACC) hosts No. 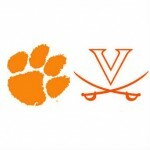 18 Clemson (16-3, 5-2 ACC) in ACC men’s basketball action on Tuesday, Jan. 23. Tipoff at John Paul Jones Arena is set for 7 p.m. The second ESPN Big Monday game of the season finds No. 10 North Carolina making the trip to Virginia Tech. Cameron Johnson averaged 18.5 points in the last two outings for the Tar Heels, who bring a four-game winning streak into the contest. Duke freshman Gary Trent Jr. and NC State sophomore Omer Yurtseven have been recognized as the Atlantic Coast Conference Basketball Co-Players of the Week, while Trent earned ACC Rookie of the Week honors. 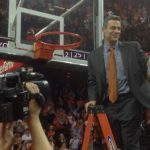 Virginia held the #2 spot in the Associated Press Top 25 for a second straight week. The ‘Hoos (18-1, 7-0 ACC) are on a 10-game winning streak after wins this past week on the road at Georgia Tech and Wake Forest. Clemson faces its first test without injured forward Donte Grantham in probably the toughest environment possible – at second-ranked Virginia.